Ahhh I have been so excited to share this blog post with you all and now it's finally time! We ALL know I love Disney and whether it's movies, mugs, holidays or fashion, I'm all for it. So creating my own personalised Disney pieces? YES PLEASE. Disney has been a phenomenon in my life since... well forever and even though I'm 27 I still love anything with a glimpse of Mickey or a princess on it I mean, just look at my Instagram)! A little hint to my love of Disney never goes a miss and I think more and more stores and online business' are starting to realise... Disney is where it's at! BUT... do you always want to be wearing the same as everybody else? 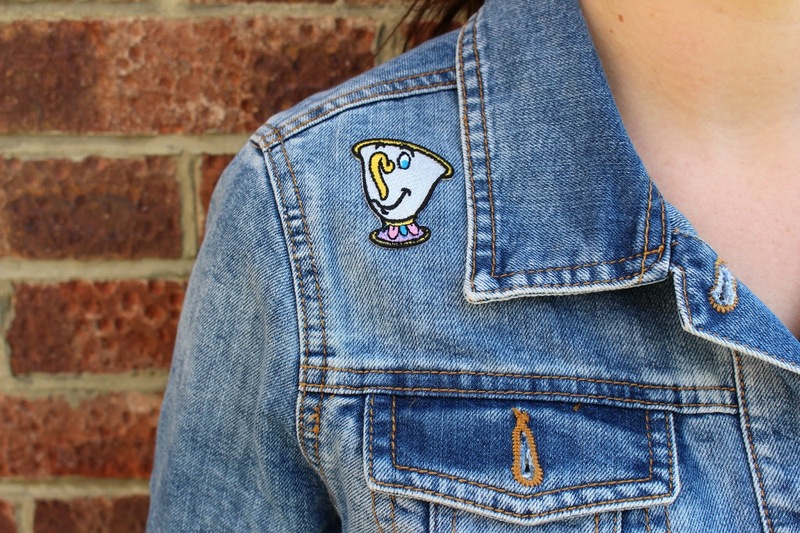 How about customising your own pieces?! That is exactly what I have been doing with these iron-on patches from Local Heroes at Truffle Shuffle! As soon as I received these patches from the lovely people at TruffleShuffle* my brain ran wild with everything I could do with them. Tops, jackets, shorts, hats, bags.... everything I had lying around that I didn't wear or use anymore I could jazz up and customise with a few minutes and an iron - amazing! First up I thought I would start with just a plain grey t-shirt. 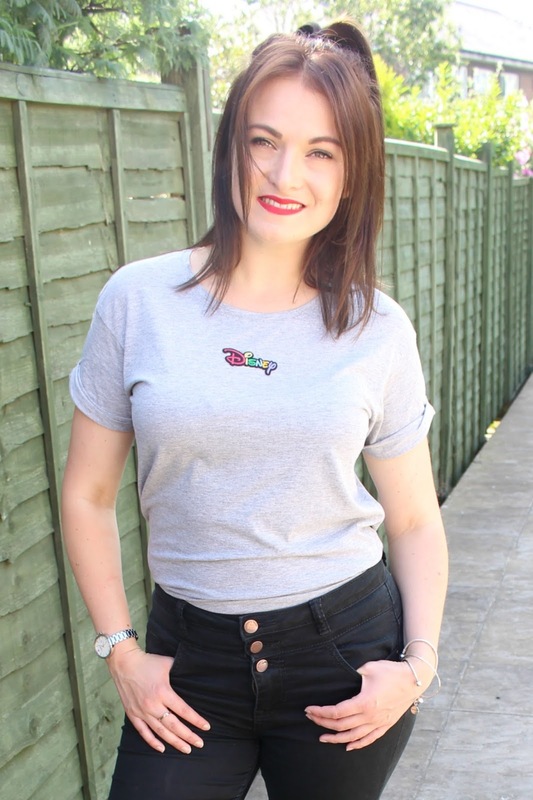 I love rocking a t-shirt, jeans and trainers at the moment (#lazyfashion for the win!) and I thought what better to create something original than just adding a simple touch of Disney. 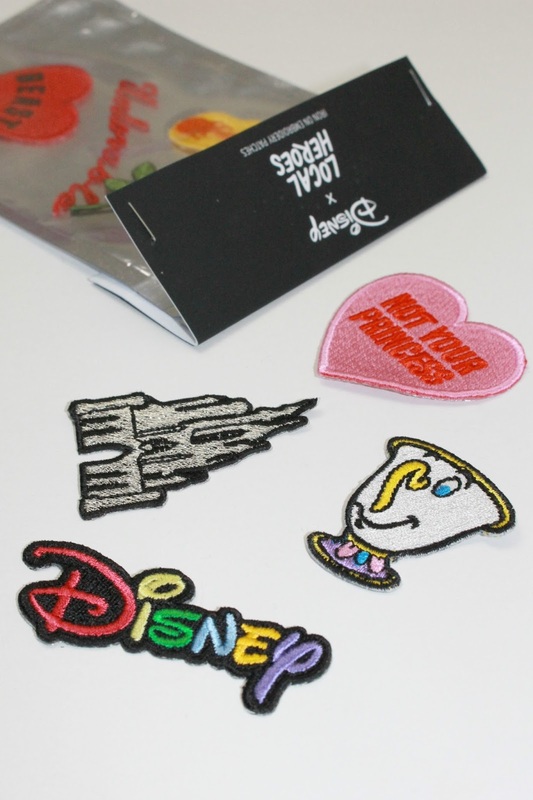 These patches are so super easy... even for a clumsy person like me. Firstly, I popped on the t-shirt and had a look in the mirror to see where the patch would look best, I then marked this spot in tiny dots with pen. All you have to do then is get your ironing board out, lay our your garment out with the iron-on where you'd like it, pop a teatowel/pillow case over the top and hold down your iron (on mostly likely it's highest heat) for around 15 seconds. That's it. See below for my first attempt! 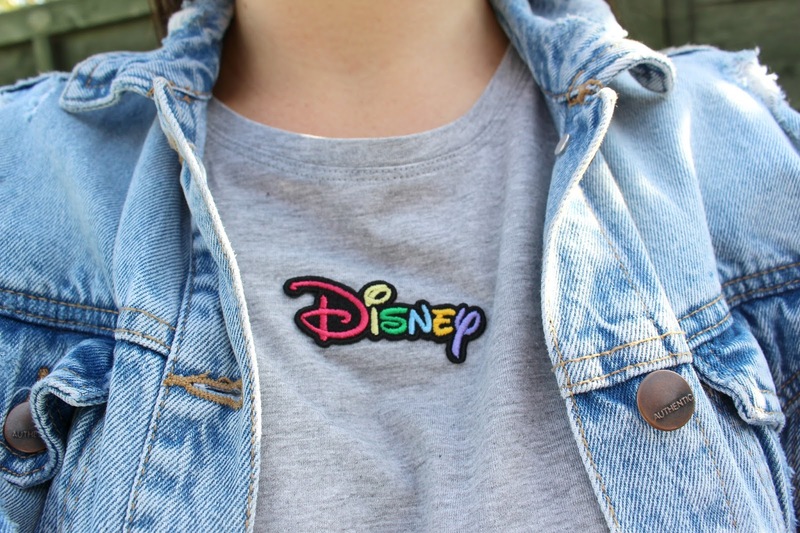 A cute and simple Disney logo tee! 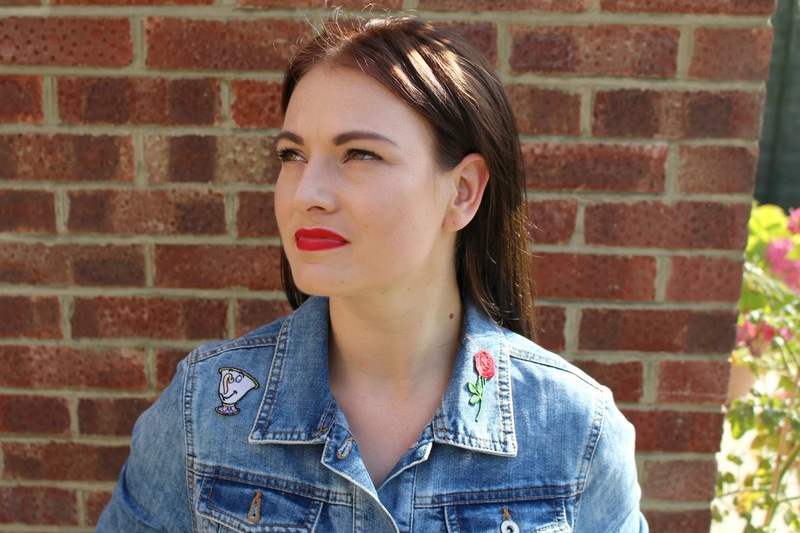 Next I decided to get my mitts on an old denim jacket that I hadn't worn in months! 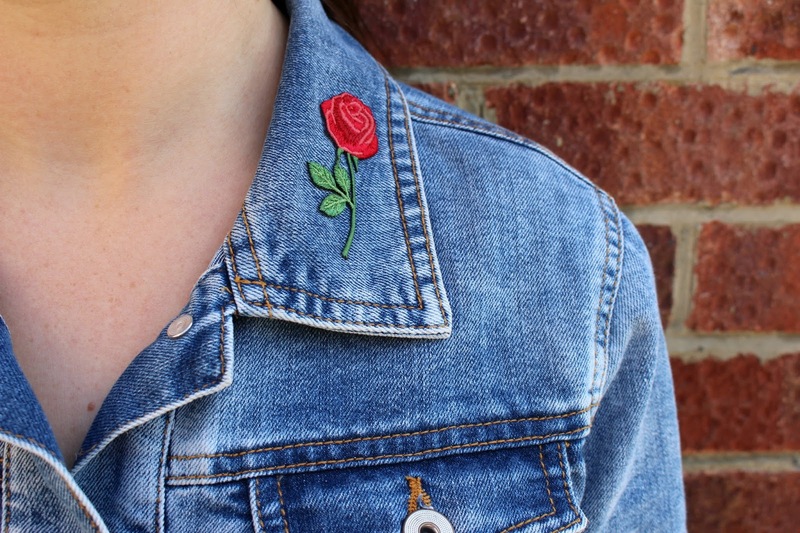 I've always loved the looked of customised jackets, covered in patches and pins and I thought what better way to make this jacket wearable again then starting off a customised piece. With the denim it did take a little longer with the iron to get the patch secure, maybe around 25 seconds and again I popped on the jacket first to work out where it hung as there would be nothing worse than guessing and having the patches hidden or looking awkward! 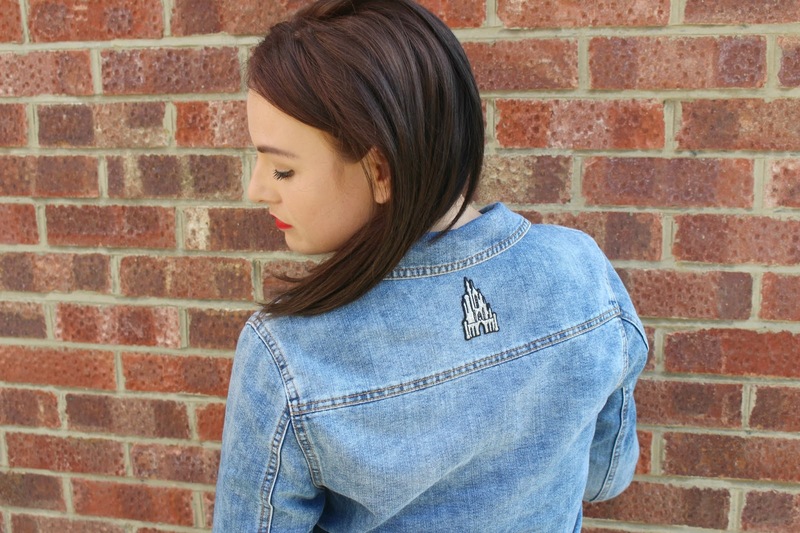 I decided to pop the castle patch on the back of the jacket (which is my favourite patch!) and then little chip and a rose on the front! I'm definitely going to get some pins to pop on the font of the jacket around the pockets too! This was SO easy, literally anyone could do it and I'm really so happy with the results! I have a few patches left over and I'm having a think still about where to pop them, I think they would look really cool on a baseball cap or backpack! *This post is NOT sponsored. All thoughts, opinions and ideas are my own. oh kirstie I love this soooo much! So cute!